You are here: Home ∼ Knapweed Under Attack! 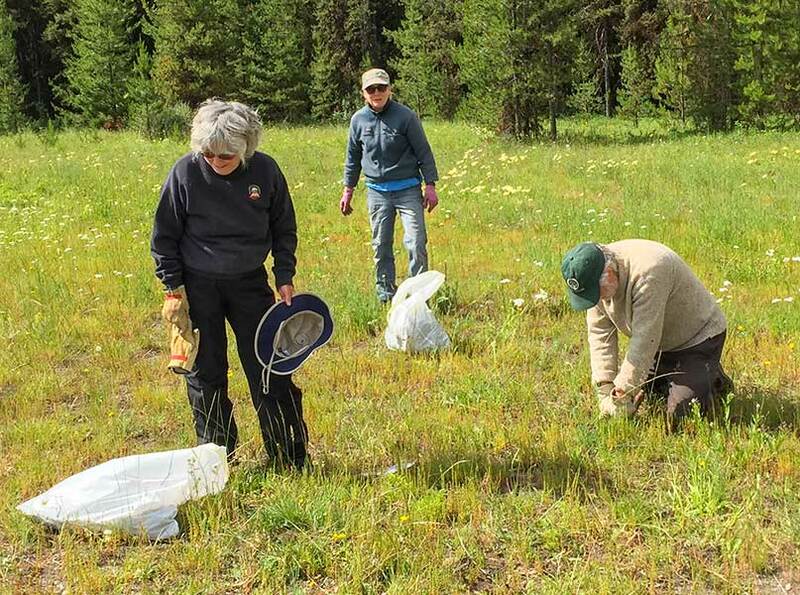 The knapweed at Sondreson Meadow was under attack on Thursday by the North Fork Weed Wranglers, a committee of the North Fork Landowners Association. 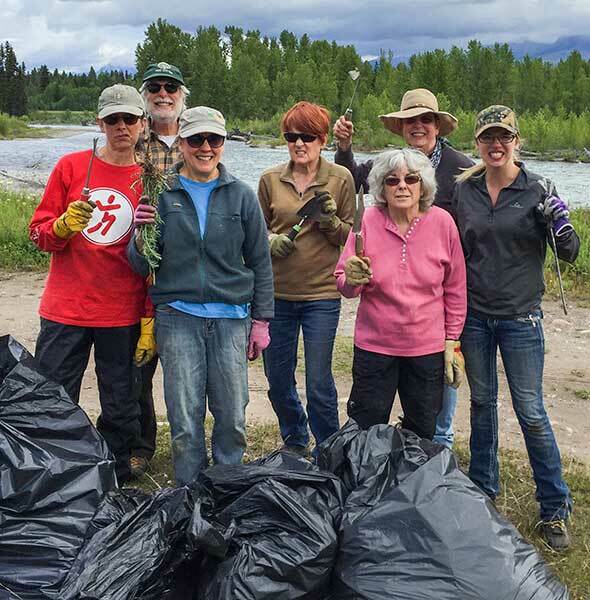 The weed pull was organized by Donna Harrison, committee chair. 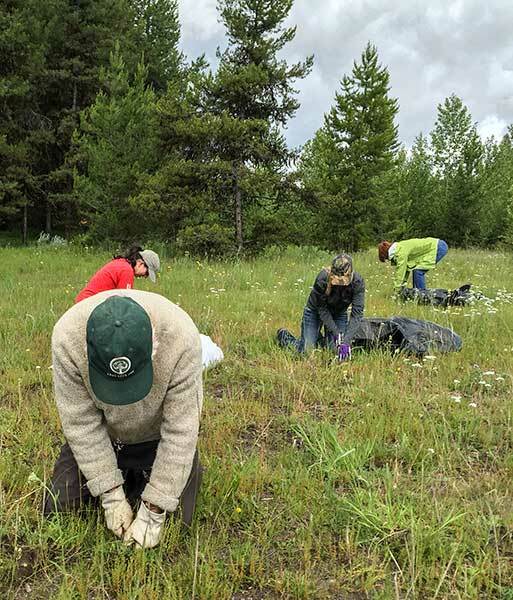 Kat Pine, the Education/Compliance Officer from the Flathead County Weed Department joined the group under cloudy skies to add her expertise to the search and eradication of knapweed. 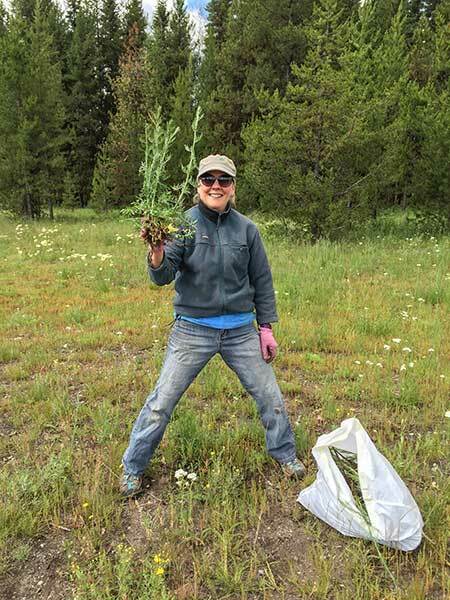 Many bags of knapweed were hauled away by Kat. On Tuesday, July 19th, is the Annual Weed Roundup. Meet at Sondreson Community Hall at 10AM. There will be weed identification in the morning and weed pulling in the afternoon. 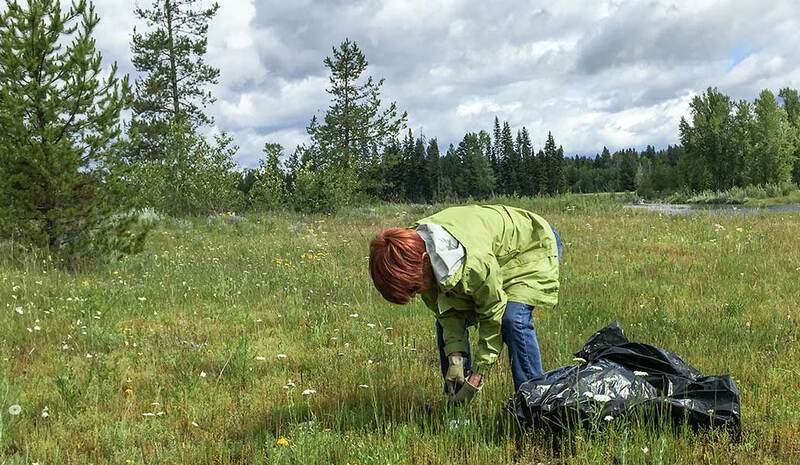 Bring your own weeds for identification. 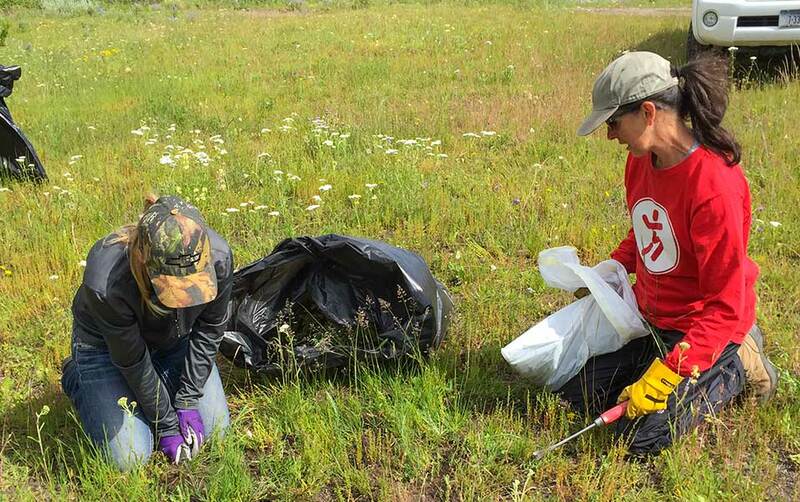 Please bring water, lunch, gloves, and garbage bags. 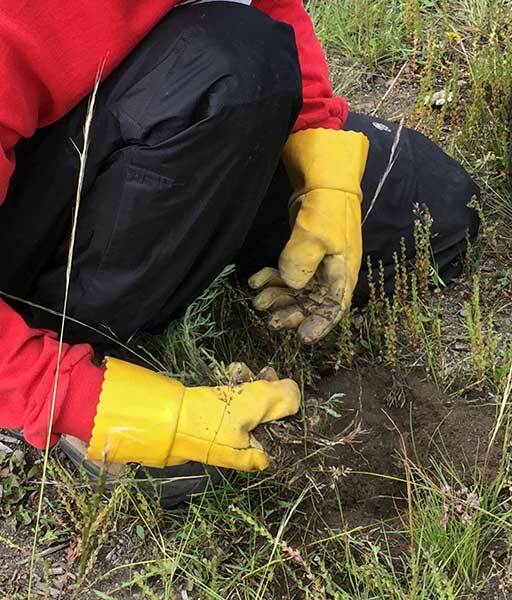 The Weed Wranglers would like to remind landowners that we are responsible for controlling noxious and invasive weeds on our properties.